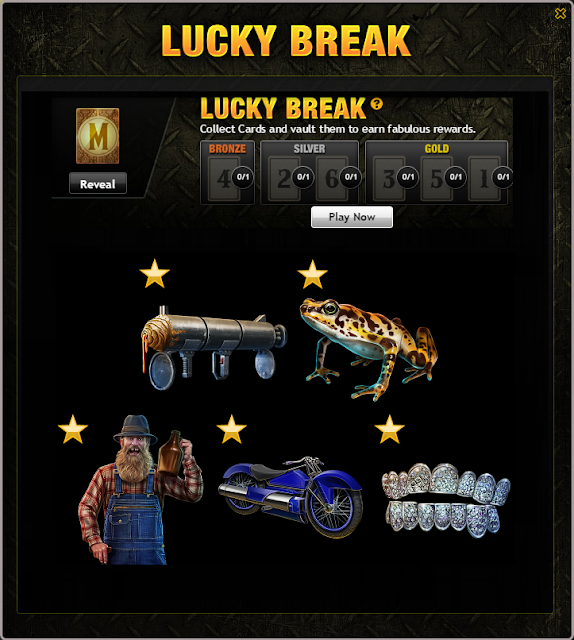 Loot items for the 10th Lucky Break have been added to the inventory. Last time this event was out there were many Facebook issues with the feed requests . It will be interesting to see if we have to go through the security checks once again. I was hoping that the fix for that was never to see a Lucky Break again. All 5 groups of items are shown below.